I have already talked about Godzilla and my love of that sort of film before on this blog and now we have a new poster for the film. It is very much just an evolution of the teaser posters but now we have seen actually how big the iconic monster is in this version. She, or is it a he, seems to be even bigger than I thought the monster would be. At least double the skyscrapers that appear in the poster. That could put her at anywhere upto 400 meters in height! Or, as a lot of people have been calling it f@#$ing ENORMOUS. 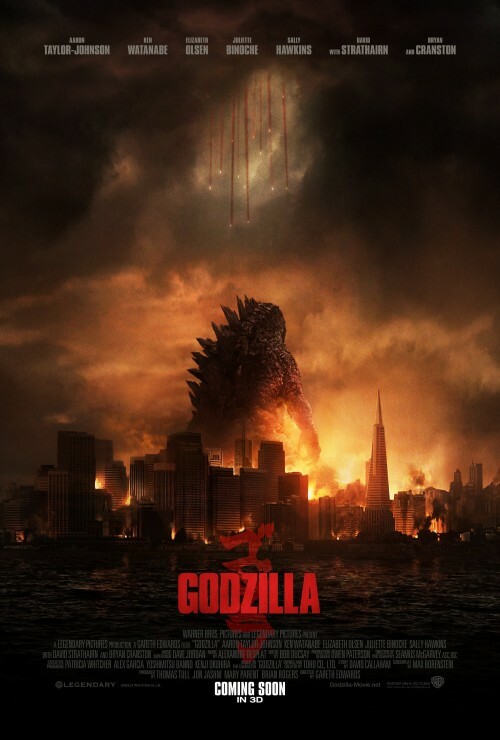 If you wish to calculate the size of Godzilla yourself, the “Pointy building” is the Transamerica Pyramid. That building is 280 meters high. 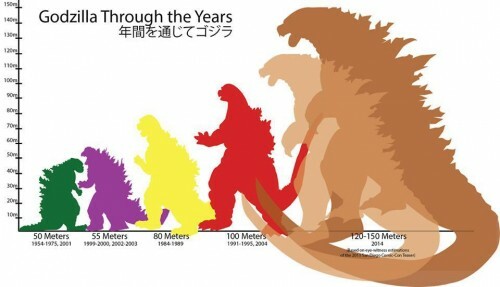 Someone did an infographic showing the height of Godzilla over the years. They used an older poster to figure out the height of this monster. I think they failed by over 100 meters.